Based in York, North Yorkshire, Mr Shifter was established in 2003 by the current owner Paul Eckart who oversees and participates in all aspects of the business. We understand how stressful moving house can be and it is our aim to make your move as stress-free as possible. We have vehicles that are capable of handling any size of move, be it large or small, and all moves are treated in the same caring, friendly and reliable way. Where possible, we strongly recommend visiting you before your move, to see what needs moving before we quote a price. In the majority of moves, we give a fixed price for the whole job. In certain circumstances, such as a small move, we charge by the hour for either a two-man crew, or can offer an hourly rate for one man if this helps your budget. 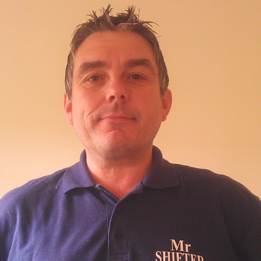 At Mr Shifter, we pride ourselves on giving all our customers complete peace of mind, and make sure that your move is remembered for being a stress-free and professional experience, so that if you decide to move again in the future, then you will come back to Mr Shifter. We have lots of repeat custom, which is a sign that we are doing things the right way, providing our customers with the optimum removal service possible. 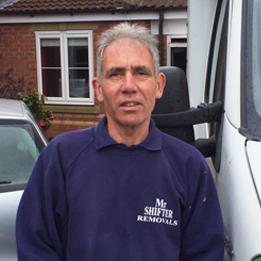 Whether you require our removal service, a house clearance, or maybe a man with a van, or maybe you need help with your packing, or a a reliable delivery service, Mr Shifter will be there every step of the way to help you with anything you may need, no matter how small. Give us a shout and let us take the stress out of your move. I am personally involved with every aspect of our "family" business. I think it's important to have that "hands on" approach which is the key to our success. "Mr Reliable" for so many reasons, whose knowledge and expertise of the removal/delivery business is second to none. Pauls youngest son and an invaluable part of our team. He has vast experience of both European and domestic removals. 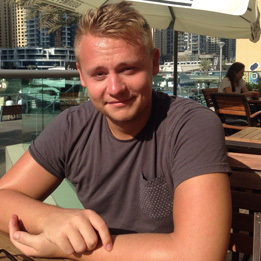 Currently in Dubai working with an international removal company on a short term basis. You can rest assured that when Sharon does your packing, every article, be it large, small or delicate, will be treated in the same considerate and caring way. THE ORIGINAL MR SHIFTER! Most of us, of a certain age will remember the original Mr Shifter! Click the play button below to watch again! Moving home is rated as being amongst the top five most stressful experiences. 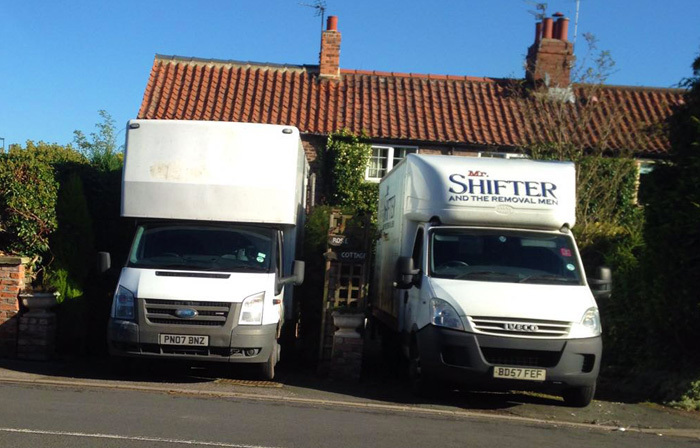 Here at Mr Shifter, we work hard to make sure that the service we provide is as reliable and stress-free as it possibly can be, to ensure your move goes smoothly and without a hitch. We do this by delivering a comprehensive and friendly service from start to finish. 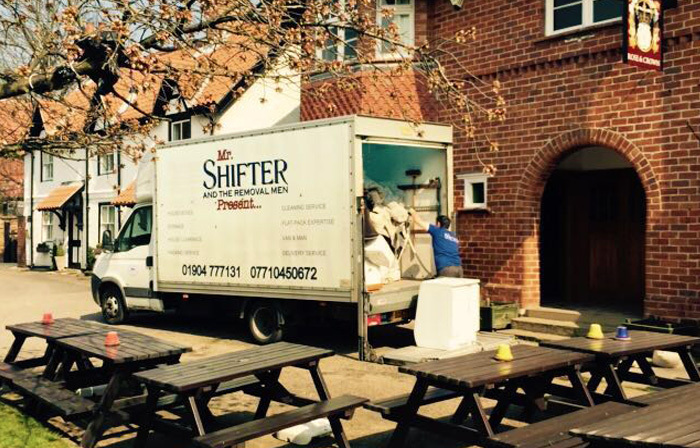 At Mr Shifter, our vehicles are fully equipped with all the necessary kit needed, including furniture protecting blankets, tools for dismantling furniture, barrows and restraints/ties to keep your items safely secured during transit, whilst manned by very experienced and friendly staff. At Mr Shifter, all our staff are trained in the process of removal, which includes the initial contact, visiting the customer to survey the job, packing the items and the removal itself. With a good understanding of Health and Safety, our staff are professional, experienced, presentable and courteous at all times. We consider ourselves to be very competitive, and whereas a lot of removal companies ask you to fill out an online quotation form, we like to visit the customer in person and survey what needs moving in order to be able to quote more accurately, and in some case, offer an hourly rate where we feel this will save you money. 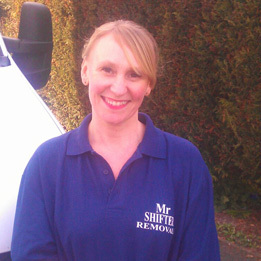 The Mr Shifter team adheres to strict procedures and high standards during the moving process from beginning to end. We have Fully Comprehensive Van Insurance, £25,000 Goods In Transit Insurance, £5,000,000 Public Liability Insurance and Full Breakdown Cover. All our insurance paperwork is available for inspection.